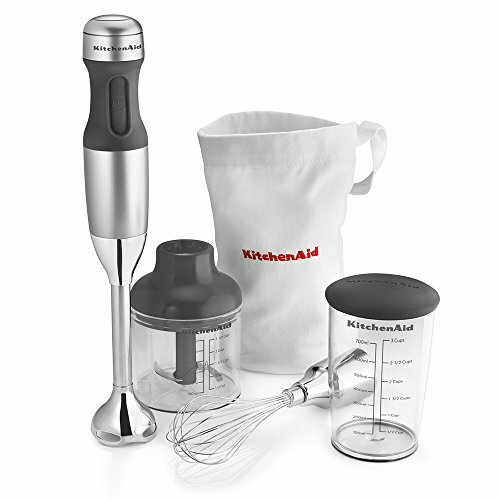 KitchenAid 3-Speed Hand Blender!! Great Deal!! The Removable 8" Blending Arm with Fixed Blade locks into the motor body for easy operation. The stainless steel S-shaped fixed blade quickly blends ingredients for smoothies, milk shakes, soups or baby food. 2 1/2-Cup BPA-Free Chopper Attachment with lid locks is ideal for chopping herbs, nuts, cheese, cooked meat and more right in the convenient chopper bowl.